There is no better time to become a pharmacy technician. Unexpected growth in medication use and the evolution of pharmaceuticals call for an expansion of staff in pharmacies to oversee the distribution of drugs and medical products. 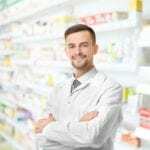 Pharmacy technicians help relieve pharmacist of the administrative and operational duties, giving them the freedom to keep up with new drugs and counsel patients when needed. In some pharmacy settings, technicians may have flexible schedules that allow them to fit their career around other commitments. The low number of pharmacy technician nationally means there is still opportunity for growth, so graduates of a pharmacy technician program will find work in almost any city. Pharmacy technicians are doing more than they did a decade ago. Typical duties include teaching patients how to use medical devices, maintaining a clean and sterilized work environment, reviewing the technical aspects of prescriptions, and receiving verbal prescriptions. The pharmacy technician training program prepares students to assume these duties. Graduates have the option to take a certification exam to become a Certified Pharmacy Technician. According to the United State Bureau of Labor Statistics, pharmacy technicians earned a median annual salary of $30,920. The salaries are even greater for experienced and certified technicians. In spite of the benefits and salary, pharmacy technicians gain the satisfaction of knowing they’ve made a difference in the lives of patients. The Pharmacy Technology Associate Degree Program at Columbus Technical College prepares students for employment in community pharmacies, hospital pharmacies, large retail chains and other pharmacy settings. The curriculum emphasizes the professional and academic development of students as it covers the knowledge, skills, and work ethics to succeed in the fast-paced pharmacy environment. Students learn through lectures in the classroom and practical experiences in a simulated lab and pharmacy externship. To complete the program, they must complete a total of 65 credits. Course topics include introduction to humanities, medical terminology, introduction to health care, pharmaceutical calculations, pharmacy technology fundamentals, principles of dispensing medications, pharmacology, principles of dispensing medications, and advanced pharmacy technology principles. The competitive admissions program requires students to be 16 years or older, have a high school diploma or GED, and submit official ACCUPLACER or other nationally recognized college placement test scores. Tuition for in-state students costs $89 per credit. The pharmacy technician program at Columbus State University prepares students for immediate employment in the field of pharmacy. The curriculum covers 70 hours of instruction in pharmacology, dosage calculations, inventory management, pharmacy billing systems, customer service, packaging and labeling, dispensing prescriptions, generic and brand name drugs, drug compounding, and drugs and their effects. Graduates will receive a Pharmacy Technician Certificate and will be eligible to take the Pharmacy Technician Certification Board’s (PTCB) exam. The program may not be available every semester. Virginia College’s pharmacy technician program enables students to support pharmacists in a pharmacy setting. They learn how to assist with counter dispensing of medications, stock inventory, and prepare medications for dispensing. The curriculum covers 60 credit hours. Topics of study include learning framework, customer service, pharmacy terminology, introduction to pharmacy, career exploration and planning, disease prevention, disease management, community pharmacy, institutional pharmacy, pharmacy terminology, pharmacy operations management, pharmacological calculations, pharmacy technician certification review, and pharmacy technician externship. Students will learn how to organize medical records, manage inventory, master medical terminology, utilize distribution systems to dispense medications, compound medications while differentiating between aseptic and non-sterile compounding, utilize computer operating systems to dispense medications, use critical thinking to assist the pharmacist, and coordinate a job search. Applicants must have a high school diploma or GED, sign an attestation at enrollment, pass the Wonderlic Scholastic Level Exam (SLE), provide required health exams including TB test and proof of immunizations, and pass a drug test. Tuition for the 55-week program is $24,220.